artdragon86 (also known as Rebecca Fleming) is an IT/Multimedia tutor and PhD student in Melbourne (Australia) who enjoys writing fantasy novels, creating art and playing video games, as well as walking her dog. She is also the author of Belvedere, an illustrated children’s book. 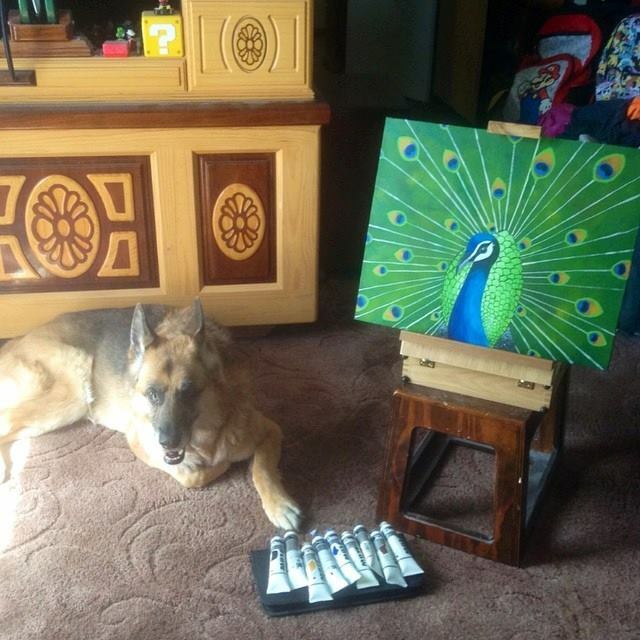 On this blog, she reviews art supplies and does painting and drawing demonstrations, and occasionally rambles on about other art- or creativity-related stuff. artdragon86’s preferred media are watercolours and acrylics, so most reviews will focus on those. However she also enjoys playing with soft pastels, oil pastels, coloured pencils and pretty much any art supplies she can get her hands on, so there will be some variety in the blog. 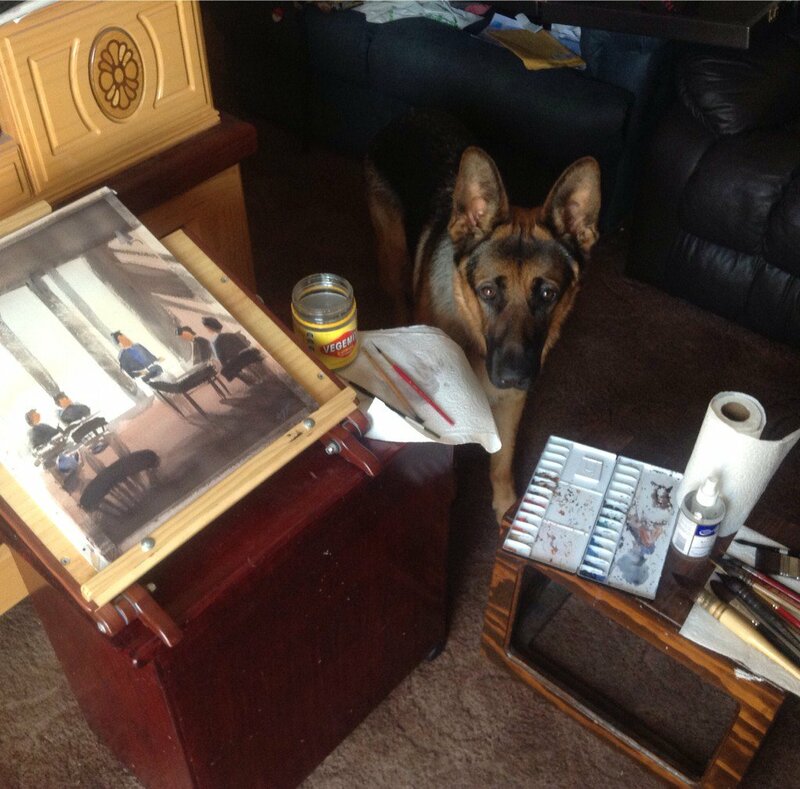 artdragon86 is an amateur/intermediate artist and is still working on refining her skills, but for now she just enjoys the process of drawing and painting. Society6: I have a store on Society6 where people can buy my artwork on mugs, coasters, stickers and greeting cards etc, as well as mini prints. Etsy: I’ve just set up a store on Etsy to sell some of my artwork. Note that, at this stage, I am only shipping to Australian addresses. Ko-Fi: I have also created a Ko-Fi for artdragon86, so if you enjoy my demos and reviews and feel like dropping coins in my digital tip jar, check out my Ko-Fi page. Facebook: artdragon86 has a Facebook page, where I post links to my reviews and demonstrations as well as other interesting art news or cool art-related stuff I come across. All photos and artwork on this page are my own unless otherwise stated. If a drawing or painting I do is based on a photo taken by someone else, I credit them by name, and I do not use reference photos without permission. Also, aside from the odd individual freebie sample tube/pencil etc, all supplies reviewed here were either gifts from friends/family or paid for out of my own pocket. Prices given for products are in AUD and are generally based on the cost of buying them from local art supply retailers unless stated otherwise. Also reviews books and video games.